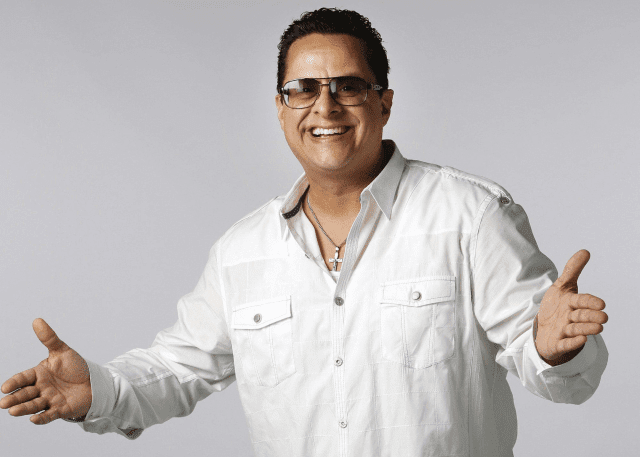 Son of the man known as “The King of Latin Music”, Tito Puente Jr. is continuing the incredible musical legacy left by his father, keeping the spirit of Latin music alive and bringing Tito’s joyous sounds to audiences across the globe. Tito Puente was a 10-time Grammy award winning bandleader, percussionist and musician credited with popularising Latin music around the world throughout the 20th century. His son and musical successor has taken on the mantle, continuing to share joy and passion through a high-voltage fusion of jazz, Latin, salsa, merengue and mambo that electrifies audiences wherever it is heard. Tito Puente Jr. has become an audience favorite in casinos, centres for performing arts, symphony halls and jazz festivals worldwide, performing over 300 shows in the past 5 years. He was featured in a stunning tribute to the music of his father in NBC’s two hour special: “The Apollo at 70: A Hot Night in Harlem.” He has also been invited to appear on the ABC soap-opera hit “One Life to Live” in performance with his dynamic big band. Symphony appearances include Dallas, San Antonio, Colorado, South Bend, and upcoming performances with the Palm Desert Symphony and the National Symphony Orchestra.